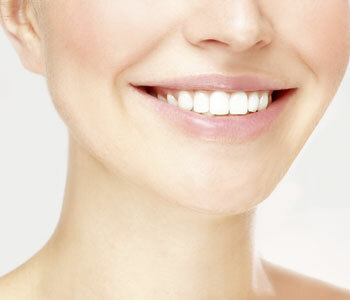 Root canal therapy is a way for patients in Calgary AB to maintain their natural teeth. When problems arise, such as an infection, patients may be at risk of needing to have a tooth extracted. Luckily, root canal treatment can be used to maintain the tooth and eliminate the need for extraction. When patients think of root canal therapy, they often associate the procedure with pain. However, this is not the case. The procedure is done without discomfort, since our team of professionals will use local anesthetics, and sedation if desired, for optimum patient comfort. It is often the pain of an infected tooth that brings patients see the dentist for an evaluation, only to find out that root canal therapy can relieve them of their concerns. Why might a patient need root canal therapy? A patient has let an area of decay go for an extended period and it has reached the dental pulp. The dental pulp has become infected or inflamed. A tooth has had an extensive injury that has affected the dental pulp inside of the tooth. When patients require root canal therapy, they may have questions about how the procedure is performed. First, patients are anesthetized and sedated for optimum comfort. We don’t want our patients to have any discomfort while in our care. Once patients are comfortable, we begin the process. The dentist drills a small hole into the tooth with a specialized instrument to reach the dental pulp. The dental pulp is a mass of tissues within the center of the tooth that houses soft tissues, nerves, and the blood supply. Removing it can eliminate pain. Using extremely small instruments and tools, the dentist removes the dental pulp from inside of the tooth and then treats the canals to ensure they are disinfected and all bacteria and infection are eliminated. Once this has been done, he fills the canals with gutta percha and then seals off the tooth with composite resin. This alone may still leave the tooth at risk for breakage due to the weakening effects of root canal therapy, so patients may be scheduled for another appointment to place a dental crown over this tooth. A crown can offer an extra layer of protection for the natural tooth and keep it from experiencing breakage. This is often the final part of the root canal process. What are the effects of root canal treatment? The benefit of root canal treatment is the ability to restore the natural tooth to avoid extraction. Extraction should be a last resort, as it can affect the health of the bone underneath. Extraction can also cause patients to experience extra expenses including the cost of replacing the tooth with a denture, bridge, or implant. Any patient who has a tooth that has infected, or damaged, dental pulp may want to discuss the possibility of having treatment performed to avoid the replacement of an extracted tooth. What other alternatives are available for root canal therapy? Unfortunately, if a condition reaches the point where root canal therapy is suggested, it is past the point of any other type of repair. Without root canal therapy, the dentist will have to extract the tooth and patients will need to consider replacement options to maintain the health, function, and . Saving a natural tooth from extraction is a smart move for many of our patients, and that can only be achieved with root canal therapy. We encourage patients to take the time to speak to our team of professionals. We encourage patients in the Calgary area to call us at (403) 768-1339 and visit our Macleod Trail location at 127-12100 Macleod Trail SE. We welcome new patients into our facility for quality, comprehensive dental solutions for children and adults.